Is Intercontinental Exchange Inc (ICE) a Good Stock to Buy? At Insider Monkey, we track over 700 of the most successful hedge funds in the world and analyze their top stock picks so as to gain insight into their collective buying habits. Despite redemptions totaling about $67 billion this year, hedge funds’ assets under management have risen to $3.24 trillion thanks to gains of 5.44% this year. While hedge funds continue to underperform the market, we have found that they excel at picking stocks on the long side of their portfolios, while generally not faring as well with their other investments, which drags down their overall returns. For example, their top-30 mid-cap stock picks delivered 18% returns during the 12-month period ended November 21, 2016, while the S&P 500 Index posted gains of less than half that (7.6%). 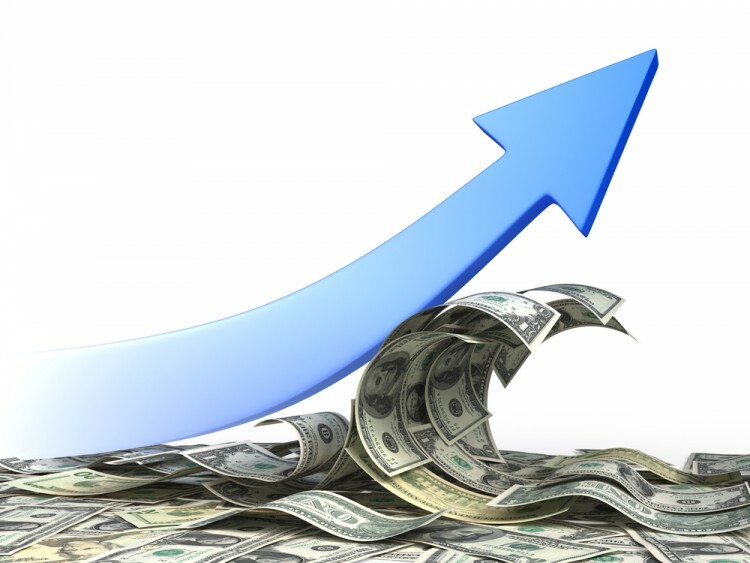 This is why we share the top picks and trends among the group of hedge funds that we follow with readers, and why in this article, we’ll see how they’ve recently traded Intercontinental Exchange Inc (NYSE:ICE). Intercontinental Exchange Inc (NYSE:ICE) shareholders have witnessed a decrease in activity from the world’s largest hedge funds recently. ICE was included in the equity portfolios of 47 funds from our database at the end of the third quarter of 2016, compared to 49 funds at the end of the previous quarter. The level and the change in hedge fund popularity aren’t the only variables you need to analyze to decipher hedge funds’ perspectives. A stock may witness a boost in popularity but it may still be less popular than similarly priced stocks. That’s why at the end of this article we will examine companies such as Crown Castle International Corp. (NYSE:CCI), Canon Inc. (ADR) (NYSE:CAJ), and American Electric Power Company, Inc. (NYSE:AEP) to gather more data points. Now, let’s go over the new action encompassing Intercontinental Exchange Inc (NYSE:ICE). What have hedge funds been doing with Intercontinental Exchange Inc (NYSE:ICE)? At Q3’s end, a total of 47 of the hedge funds tracked by Insider Monkey were bullish on this stock, down by 4% from the previous quarter. 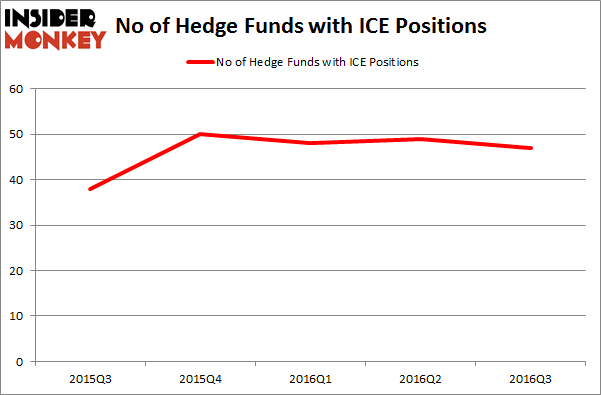 Below, you can check out the change in hedge fund sentiment towards ICE over the last five quarters. With hedge funds’ capital changing hands, there exists a select group of notable hedge fund managers who were upping their stakes significantly (or already accumulated large positions). Of the funds tracked by Insider Monkey, Stephen Mandel’s Lone Pine Capital has the number one position in Intercontinental Exchange Inc (NYSE:ICE), worth close to $325.2 million, accounting for 1.5% of its total 13F portfolio. On Lone Pine Capital’s heels is Cantillon Capital Management, led by William von Mueffling, which holds a $278.9 million position; 3.9% of its 13F portfolio is allocated to the company. Some other peers with similar optimism contain Ricky Sandler’s Eminence Capital, Jonathon Jacobson’s Highfields Capital Management, and Panayotis Takis Sparaggis’s Alkeon Capital Management. We should note that none of these hedge funds are among our list of the 100 best performing hedge funds which is based on the performance of their 13F long positions in non-microcap stocks.